The Schenectady STEM Alliance is a coalition of industry, education and community leaders working to connect under-resourced students with growing opportunities in the Tech Valley. By encouraging collaboration between local businesses, schools, community and philanthropic organizations, the STEM Alliance aims to improve access to STEM education and career development opportunities for young people in Schenectady. The STEM Alliance was organized by the Schenectady Foundation in 2016, and the Foundation supports the Alliance with staff time, organizational capacity, research and fundraising. Long a center of industrial production and innovation, Schenectady is experiencing a resurgence of its science and technology sectors. A growing ecosystem of startups, incubators, and strong educational institutions are joining established employers in providing career opportunities in the STEM fields. At the same time, the fortunes of our city’s families and youth continue to decline. There is a high level of poverty among children and youth, and underfunded schools struggle to keep pace with the offerings of suburban areas. As a result, our young men and women are far less likely to have exposure to STEM programming, or see STEM careers as viable choices. Our challenge: to connect young people in Schenectady to STEM career paths, when many have limited access to STEM education and career development opportunities. The Schenectady Foundation is pleased to announce the launch of Project STEM Xplor! The new database went live on June 11th, and it's already populated with summer programs geared toward bridging the divide between under-resourced students and the burgeoning out-of-school learning opportunities in science, technology, engineering and math in the region. You may access the site directly by typing in stemxplor.com. While the Capital District has many organizations providing hands-on STEM education, they can be hard to find for students in under-resourced communities. STEM Xplor is a website application where--for the first time--teachers, students, and parents are able to search for STEM-related after school, weekend, and summer learning programs in the capital region. Local educational program providers can easily upload and promote their events free of charge. 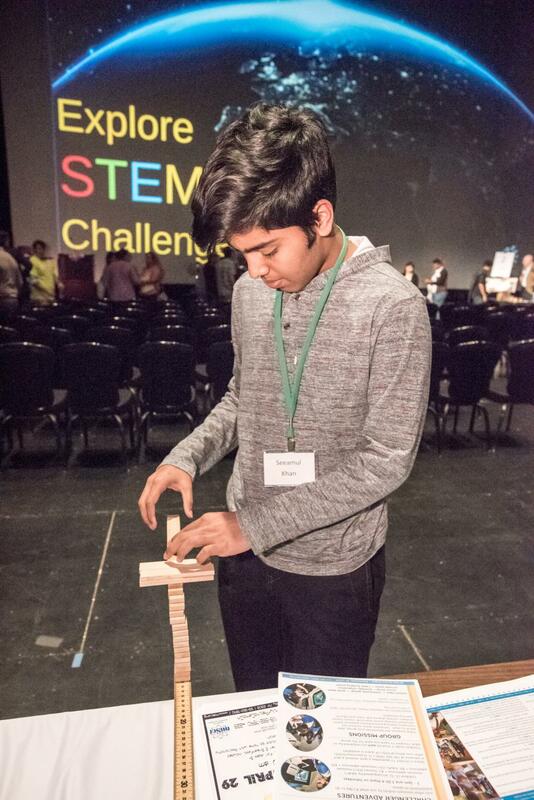 Schenectady becomes an academic playground where young people and their families can easily find hands-on opportunities to explore STEM-related fields. STEM opportunities will be readily accessible for all students. Schenectady’s rich history of innovation will be embraced as a commonly-understood backdrop for what’s possible in our community’s future — and what’s possible for our children in that future. Increasingly, Schenectady students will choose to explore in-school STEM courses and extra-curricular programs, connect with STEM professionals, and find pathways into higher education and STEM careers. A large and diverse cadre of mentors*, allies, and benefactors working professionally in STEM fields will be readily available and engaged with K-12 students and educators. The Little Family Foundation is a major funder of the STEM Alliance. Stay tuned for the offical launch event! Together we can be more effective to raise awareness and improve access to STEM educational and career opportunities.